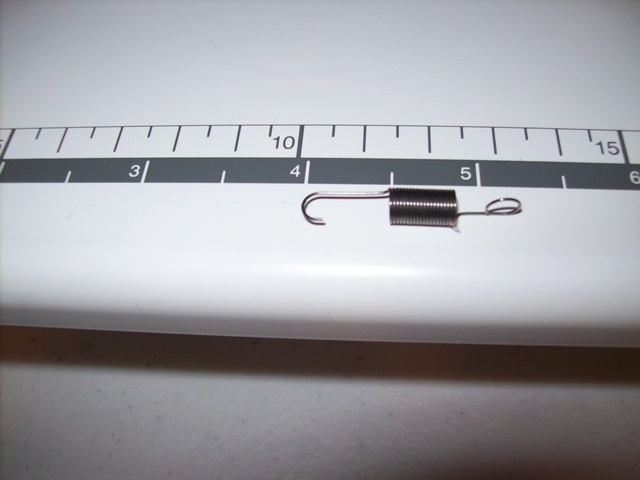 After breaking a needle while doing FMQ, my machine would no longer pick up the bobbin thread. I opened it up to see if it had thread or a piece of needle stuck somewhere and found this spring. The spring was laying right on the floor of the machine when I opened up the bobbin access door. It does not appear to be broken or stretched out of shape, but I can't figure out where it might go. Do any of you other 1500S owners have a clue? Lemme go look at mine.... be right back. Ok I found it. I put an arrow where the top of the spring goes. Let me know if you need a better picture! Thanks, Peggi! I kind of thought it might go there but couldn't seem to make it fit. Now that I know for sure I won't be so afraid to stretch just a tad. I appreciate you taking the time to help me out. You're welcome! Hopefully that's all that's wrong with it. My bobbin thread comes up but it gets stuck underneath the plate. The spring pictured above in in the right place on my machine. What else could this be? I saw this spring and its in the right place, but my bobbin thread is coming up and it gets notted underneath the plate. What could this be? Does the machine have an automatic thread cutter. I have a Babylock with a scissors button and sometimes the mechanism sticks and I get thread tangles such as you describe. 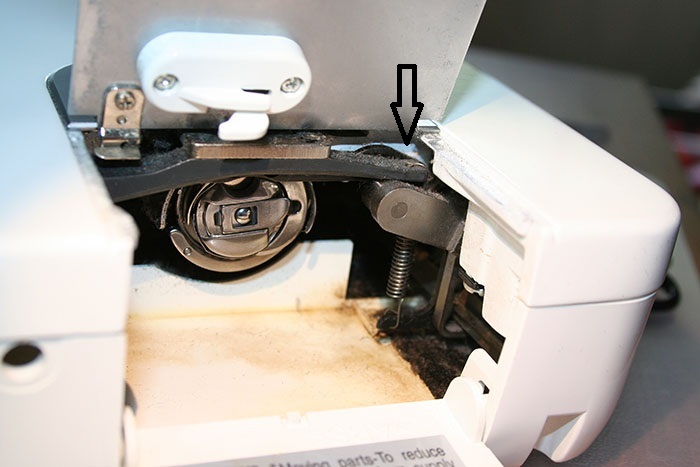 I have to manually move the mechanism back out of the way.